Complete mechanical repairs and maintenance! 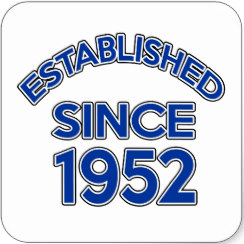 We have over 60 Yrs of excellent reputation, we owe it all to you,THANK YOU! We work 100% for you, our customer. 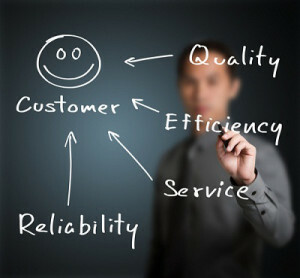 We guarantee our repairs and your complete satisfaction at delivery. We use factory parts & finishes. We are a certified facility. I want to thank you for making my car look as good as new again. Thank you for going that extra mile for me. You run a very good business and I'm very appreciative. You came highly recommended by several people I talked with, I think your good name speaks for itself, thanks again. John Coleman gave us a stress free holiday by repairing our vehicle(which had hit a deer right before Christmas) within the time promised, offering wonderful communication and excellent quality of work. John and his family go out of their way to make sure their customers are happy, something you do not find in many larger businesses these days. I highly recommend Colemans Autobody if you are looking for quality customer servce and repair. I ran into a pole with my 2012 Chevrolet Traverse. I did about $5000 worth of damage to my car. The guys there were very helpful, professional, and knowledgeable. I knew my leased vehicle was in good hands. When the car was finished it looked brand new again. I couldn't tell any damage had been done, plus the inside was detailed to perfection. John and his staff were amazing. John went out of his way to make sure that you understood the task at hand and tried to find the best quality parts at the lowest price available. John always called or talked to you to make sure this is what you wanted before working on the vehicle. John even threw in a christmas present and helped me out with my water jets at no cost. When I thanked him for his help, he stated thats what we try to do. John's and his staffs work on my vehicle was very attentive and top of its line at a very resonable price. I live in Tennessee and i found John and his staff to be quite honest and proffessional. If your in need of body work I reccomend colemans autobody. I am also military and suggest to all military to check colemans autobody out. It was a Saturday and needed to get my car towed to my Chevy dealer for some safety related recall repairs, the dealer could not provide a tow service so we contacted Jack Coleman's, they sent a tow truck very quickly and got my car to the dealers safely. We were impressed with how professional and courteous they were and will definitely use them again if we needed to. I have used Coleman's for all of my body work on my vehicles for over 15 years. His work is excellent! He is professional, dependable, and gets the the job done in a timely manner. You can't go wrong using his service. States Military, Veteran’s, first responders, students and seniors qualify for discounts, please stop by for details! We are only as good as the last vehicle repaired or serviced. Your experience is very important to us, over the past 36 months Jack Coleman’s has consistently attained customer satisfaction of 97% and we thank you! You do not need to get two or three estimates. Just ONE, from your shop of choice. Yes. We employ a state of art process which enables us to accurately match your vehicle’s finish. Vehicle repair time is determined by the complexity of the damages. Jack Coleman’s Body Shop & Service Center will make the repair in a timely manner without compromising quality standards for the sake of time.